Acting Our Age: A film About Women Growing Old – An invigorating antidote for American culture’s one-dimensional image of older women, this classic film offers empowering insights about women and aging for every generation. Personal portraits of six ordinary women in their 60’s and 70’s who share their lives. In candid interviews that tackle a range of thought-provoking topics, including self-image, sexuality, financial concerns, dying, and changing family relationships, members of the group display both a vibrant strength of spirit and inspiring zest for life. 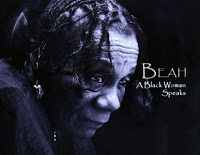 Beah: A Black Woman Speaks – This film, the directorial debut of actress LisaGay Hamilton, celebrates the life of legendary African American actress, poet and political activist Beah Richards, best known for her Oscar nominated role in Guess Who’s Coming To Dinner. While Richards’ struggled to overcome racial stereotypes throughout her long career onstage and onscreen in Hollywood and New York, she also had an influential role in the fight for Civil Rights, working alongside the likes of Paul Robeson, W.E.B. DuBois and Louise Patterson. Out in South Africa – In 1994, Barbara Hammer was invited to South Africa to present a retrospective of her 77 films and videos at Out in South Africa, the first gay and lesbian film festival on the African continent. While in South Africa she taught several groups of people how to use video, and to record each other in interviews about life as a lesbian or gay man living in the townships. 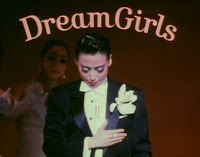 Dream Girls – This fascinating documentary, produced for the BBC, opens a door into the spectacular world of the Takarazuka Revue, a highly successful musical theater company in Japan. Each year, thousands of girls apply to enter the male-run Takarazuka Music School. The few who are accepted endure years of a highly disciplined and reclusive existence before they can join the Revue, choosing male or female roles. Dream Girls offers a compelling insight into gender and sexual identity and the contradictions experienced by Japanese women today. Performing the Border – A video essay set in the Mexican-U.S. border town of Ciudad Juarez, where U.S. multinational corporations assemble electronic and digital equipment just across from El Paso, Texas. This imaginative, experimental work investigates the growing feminization of the global economy and its impact on Mexican women living and working in the area. Half The Sky (Ro*co Films) – Actress/advocates and New York Times journalist Nicholas Kristof meet individuals who are doing work to empower women and girls everywhere. These are stories of challenge, transformation and hope. The Hunting Ground (Ro*co Films) – The Hunting Ground takes audiences straight to the heart of a shocking epidemic of violence and institutional cover – ups sweeping college campuses across America. The team behind the Oscar – nominated The Invisible War presents a scorching expose of the startling prevalence of sexual assault at US institutions of higher learning. Living for 32 (The Video Project) – On a snowy April day at Virginia Tech in 2007, 32 students and faculty were shot and killed by a lone gunman, 17 others were wounded, and six more were injured jumping out of windows. Through the personal story of survivor Colin Goddard, Living for 32 tells the tragic tale of one of the worst gun massacres in recent American history, along with Goddard’s inspirational journey of renewal and hope. The then-21-year-old was shot four times and told he might never walk again. He lives today with three bullets still lodged in his body and a titanium rod in his left leg.Goddard revisits his former classroom for the first time in the film, and emotionally recounts the terror of that day. After recovering from his wounds and completing physical therapy, he made it his life’s mission to help ensure that a tragedy like the Virginia Tech massacre would never happen again. Schools that Change Communities (The Video Project) – Schools that Change Communities profiles a diverse group of public schools that are successfully creating higher achieving students in a different way — by turning the communities where they live into their classrooms.The film re-imagines what education can be, visiting K-12 public schools in five states across America that are engaging students in learning by solving real-world problems in a variety of communities, from economically and environmentally challenged rural areas to poverty-stricken urban neighborhoods.